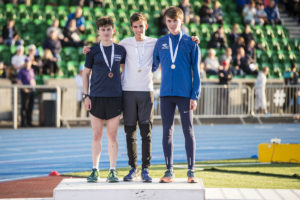 Sol Sweeney and Naomi Lang took the Scottish 3000m titles at U20 at the GAA Miler Meet on Friday evening. Heather Barnes completed a good week for Giffnock North with her U17 gold – and Shettleston Harriers had two on the podium in the U17 Men’s race as Jamie Burns and Lewis Raeburn took gold and bronze. 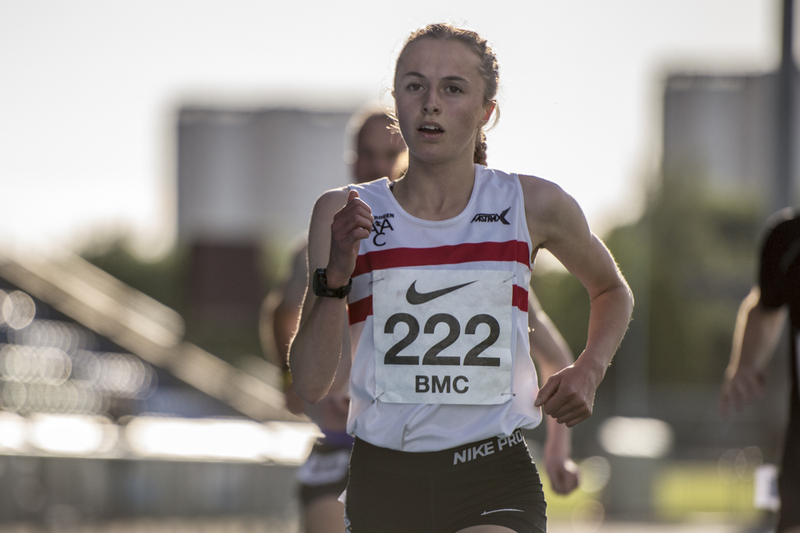 With Kris Jones and Cameron Steven the fastest men at 3000m and 800m, there was also a good PB for Mhairi Hendry in the top women’s 800m race – as she clocked 2.04.11 despite running solo for the last 300m. It was another superb advert for the GAA Miler Meets and the event specific approach, with strong support from the Scottish endurance community and our Officials. 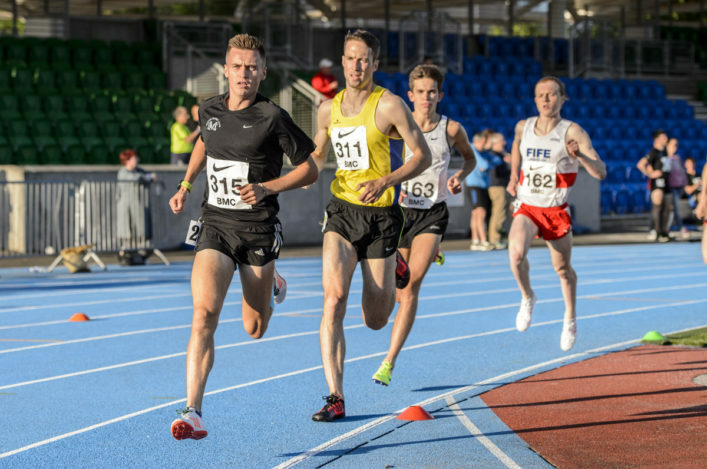 Olympians Laura Muir and Callum Hawkins, and other GB internationals, were among the audience on a sunny evening – as the event returned to Scotstoun for the first time in a number of years. 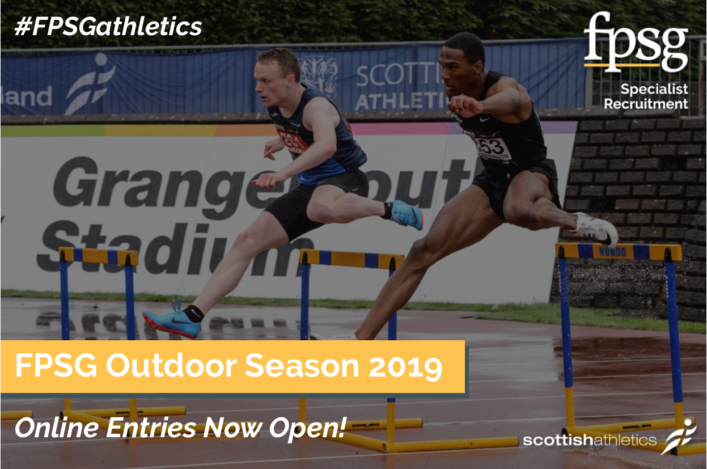 It was good to see the venue staging athletics again, under an agreement on set ‘competition periods’ for the summer track and field season, despite playing host to Glasgow Warriors rugby during the year. Sweeney came home in a big PB of 8.22.12 to win from James Donald of Dundee Hawkhill, in 8.33.47, and Edinburgh AC’s Joe Arthur (8.37.57). The Perth Strathtay athlete, a GB international at cross country in Edinburgh in January, heads to Bedford soon for the England Athletics U20 Champs. ‘I’m heading to the England Athletics U20s in a couple of weeks so it was good preparation for that,’ said Sol. ‘I have yet to decide on 1500m or 3000m and that might just help me make up my mind because I feel I can go a wee bit quicker than 8.22. ‘It was a big PB, though, from 8.34 at Bedford last year I think it was, so I’ve got to be happy. With three laps to go I was just trying to hang on to Alastair Hay because he’s a big guy and a bit of a wind-break. 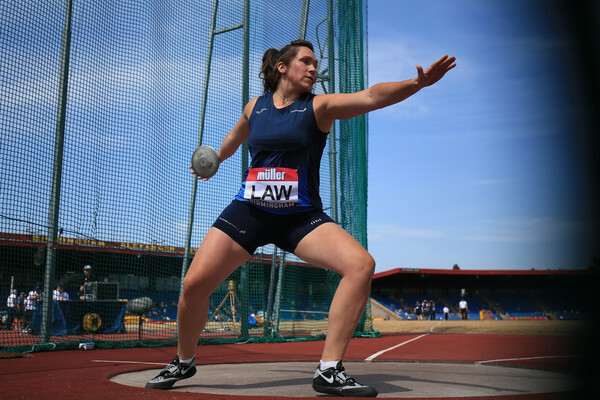 For Naomi Lang, cradling a Scottish gold medal completed a dream week after the Commonwealth Youth Games announcement and her place on a July trip to the Bahamas. All this amid her last exam at Aberdeen Grammar School. ‘It has been quite a week and there was a lot of excitement when the Team Scotland announcement was made on Tuesday morning,’ said Naomi, who ran 9.45.63 to win from Aberdeen club-mate, Rebecca Eggeling, and Kirstin Oakley. ‘I had the final confirmation email a few days before but you are asked to keep it quiet. It was great when the news came out and there was a lot of coverage on social media. ‘The qualifying time was 9.46 and I ran 9.39 so I was happy to do that and thought I had a good chance of selection. I’ve had exams at school, too, and had my last one – PE – on Thursday. I’d like to have run quicker to win the U20 gold but it is a championship win in the end. Barnes took the U17 Women’s gold in a week when Giffnock had three athletes names for the Bahamas including Heather’s training partner, Erin Wallace. English athlete Esme Davies was second and Cera Gemmell of Team East Lothian was third. 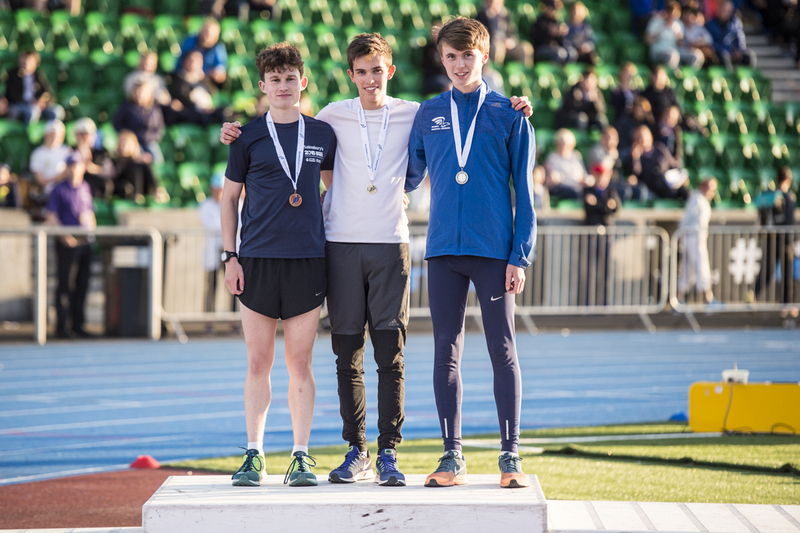 Shettleston have high hopes for Jamie Burns and he continued to underline his potential with his U17 title success in 9.01.56 as the other medals went to Drew Pollock of Cambuslang and Lewis Raeburn of Shettleston. 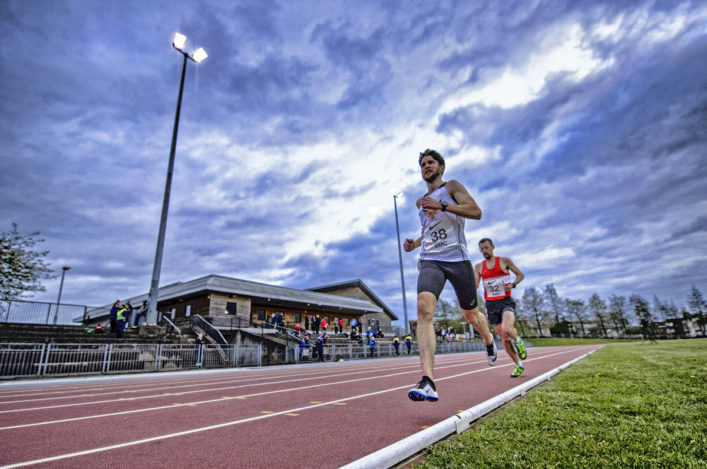 Welsh athlete Jones took the main men’s 3000m race in 8.10.71 from Hay (8.14) and Sweeney while Cameron Steven won the top 800m race in a time of 1.51.13. Anna Tait was the quickest woman in the 3000m, with a PB at 9.31. Megan Davies took eight seconds off her 800m PB with 2.09.68. Hendry led home Phillipa Millage and Jemma Reekie and appreciated the pace-making of Jill Cherry. 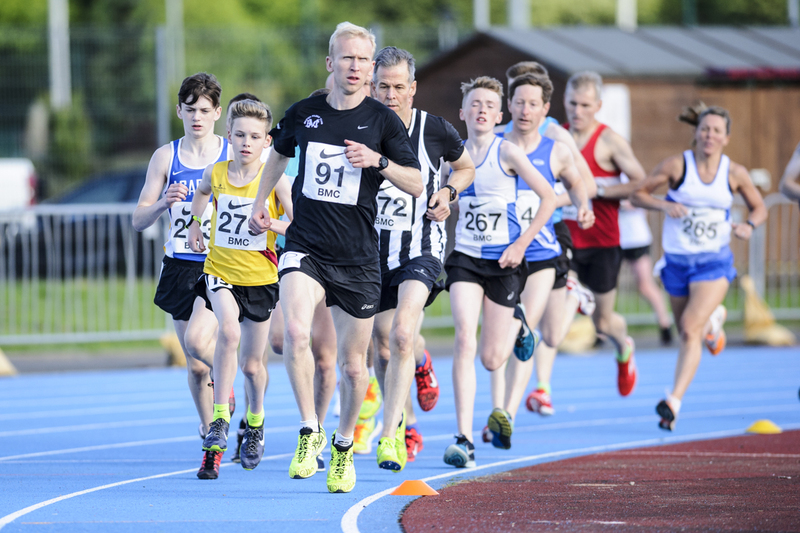 In the 3000m races, there were superb age group performances by U15 duo Lily-Jane Evans-Haggerty of VP-Glasgow with 9.49.49 and Lucas Cairns of Inverness Harriers with 9.43.33. Lily-Jane’s time is a Scottish U15 Girls’ best performance. In the 800m, Murray Fotheringham of Giffnock North set a Scottish age 13 best with 1.59.69 – two days before his 14th birthday. Medallists 3000m U17 Women: 1 Heather Barnes Giffnock North 9.50.69; 2 Esme Davies Eden Runners (Cumbria) 9.58.40; 3 Cera Gemmell Team East Lothian 10.02.68. Medallists 3000m U20 Women: 1 Naomi Lang AberdeenAAC 9.45.63; 2 Rebecca Eggeling AberdeenAAC 9.50.51 3 Kirstin Oakley Ayr Seaforth 9.51.70.